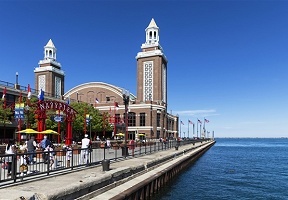 In honor of Navy Pier’s 102nd anniversary this July, Chicago’s mission-driven cultural destination is awarding 102 local nonprofit organizations the opportunity to either ride the iconic Centennial Wheel or experience the popular Fifth Third Bank Winter WonderFest for free as part of its annual Community Rides program. The Pier is accepting applications from now through Friday, June 29, and recipients will be announced on Friday, July 15 to coincide with the Pier’s anniversary. Applicants must be Chicagoland-based 501(c)(3) nonprofits in good standing, and must serve a community primarily located in Cook, Dekalb, DuPage, Kane, Kendall, Kenosha (WI), Lake, Lake (IN), and/or Will counties in order to be considered. Past recipients are welcome to reapply. Awarded nonprofits will be issued complimentary Centennial Wheel tickets or Fifth Third Bank Winter WonderFest following the announcement on July 15. 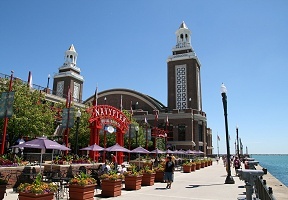 For more information, visit www.navypier.org or download the Navy Pier app on any Android or iOS device.